In this article we will discuss 9 Die-Cut Business Card Design Tips. 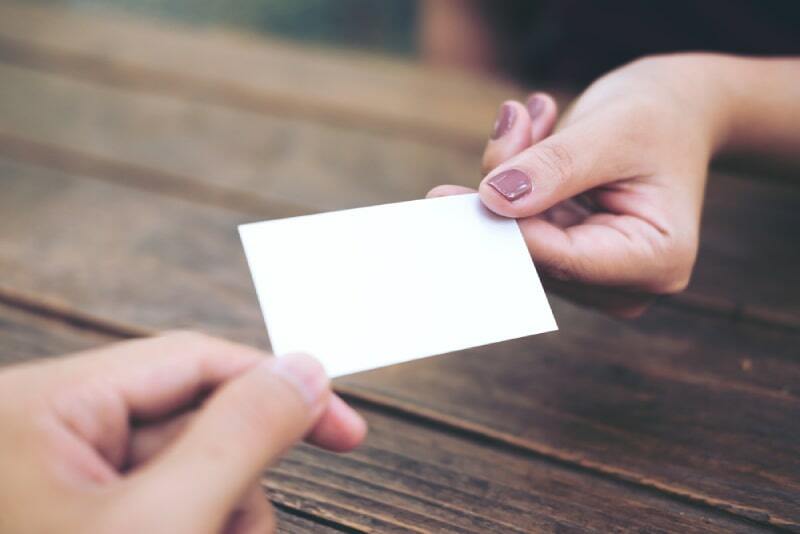 Reports find that, out of the thousands of business cards printed every day, nearly 88% will be thrown out in less than a week. But that doesn’t mean business cards are a weak marketing tool. In fact, it only takes 2,000 Business Brochure Samples to increase a company’s sales by nearly 3% which is good enough reason to produce them in the first place!. As a designer, it’s your job to make a compelling business card that will make the user hold onto it for months or more! Here is a step-by-step guide to help you design the perfect business card. Before starting to design your business card, it’s best to do a little research so you know what to put on the business card. Ask your client about their business goals and fill out a creative brief. Then, collect templates or real business cards to use for inspiration on online design galleries and examine each one. Before you implement an idea that you like, keep in mind the rules of design. An idea that is not according to your client’s needs, isn’t worth putting on their business card. Once you have a basic concept, put it aside. Next, finalize the card’s message starting with contact info. Today people connect in so many ways, so choosing the right information can be a big challenge. You should come up with a proper idea to target the audience in a specific way that they like to communicate. Your next step in card designing is to tell the audience why they should contact your client. A call to action or a tagline can do this job for you. Through taglines, people can be instantly informed who your client is and what they do. A call to action is equal to a command. It conveys a clear message to the audience, like “Click to Buy” or “Subscribe Now” Only include one call to action, as consumers respond best when they’re given just one option at a time. Where words fail, photos do the trick. As an example, you might use a photographic background to showcase examples of your client’s work or a portrait to remind prospects who the cardholder is. Portraits can be an effective way to let people match your client’s name to the person they met earlier, making it an easy way to refresh their memory when they read the card later. Just make sure the photo is appropriate. The saying goes, “The medium is the message”. How you present your client’s information is as important as the content itself. You may look for something more unconventional than cheap, flimsy paper to stand out. Be careful to select the material, it should be nevertheless related to your client’s company. Business cards generally have a rectangular shape all around the world. In the US, the standard size is a 3.5×2 inch horizontal rectangle. A die-cut card can be shaped in any way your client wants—whether its a circle, a giraffe or something else entirely. You may also put holes in the middle of a card to create an interactive or stencil design. Color is extremely important to your design, especially considering the fact that people keep colorful business cards ten times longer than standard black-and-white ones. Black backgrounds or pops of red are considered to be the best colors for business cards that stand out the most. But the colors that grab the most attention won’t always match your client’s needs. If your client already has a corporate color scheme that they use for their other branded materials, use that. If they don’t have a color scheme, you will need to design a whole new palette to suit your client. Choose a maximum of two or three colors. Anything more is too distracting. Always be sure that the colors you choose, match the goals you and your client discussed the beginning of the project. Don’t just pick colors that you think will look nice. Selecting the right combination of typefaces can be a challenge. It’s usually best to limit yourself to two or three fonts as, like colors, too many fonts can be distracting. You can also create a hierarchy with type size, with the most important elements e.g your client’s name and website—being larger. The font size you choose will depend on the card’s layout and the amount of text you include. But usage of at least 8-point font will enable the people to read the card easily. Once you have all of the elements you need for your business card design, you need a layout. The layout should be easy to read and also have to make a lot of information fit into a small space. Start by creating a hierarchy with size. If the item is more important, its size will be bigger Items of equal importance should be similar in sizes and placed physically near each other. Make the logo, which is the focal point in your card—the largest element, occupying at least ¼ of the design. Proofread your design. One typo can ruin your business card—meaning you and your client just wasted a lot of time and money. Always review your typography, formatting, and artwork. The best part of your job as a designer is that you can rock people’s expectations. Try to create a totally unconventional business card, instead of the same old boring designs… A business card is not merely a business investment but an extension of the cardholder’s personality. A truly phenomenal business card is one that catches the end user’s attention and keeps it going.